The main difference between the 811 and the 815 comes in operation. The 815 die head has a trigger mechanism that will automatically open the die head and stop the threading process once a certain number of threads have been cut. 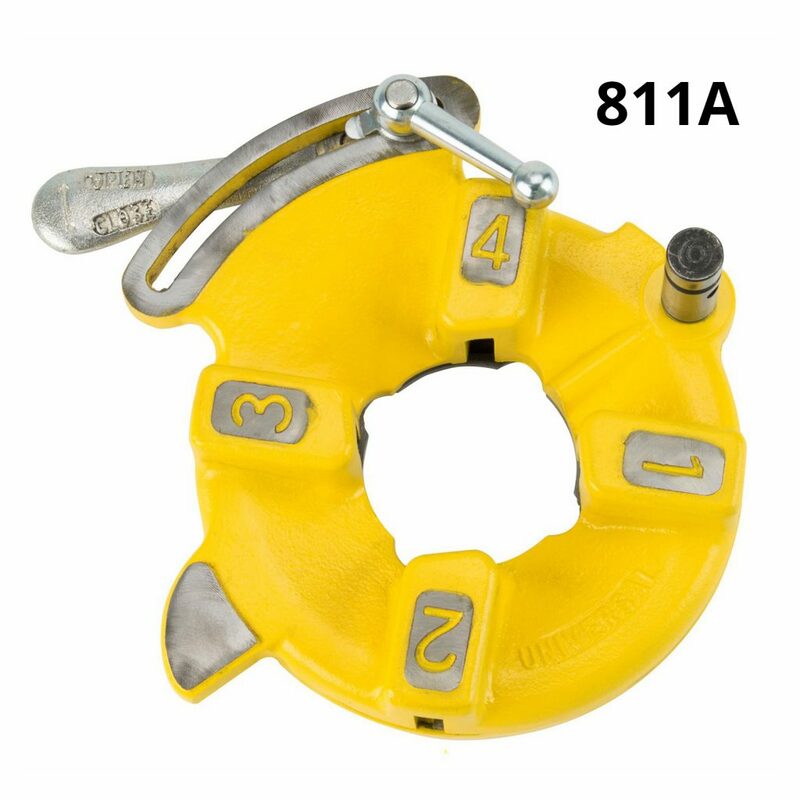 The 811 die head has a quick open lever that must be opened manually to stop the pipe threading process. Both die heads can be used to thread pipe and bolts, both thread in the right-hand direction, and both have the same threading capacities. Seems like an easy choice, right? 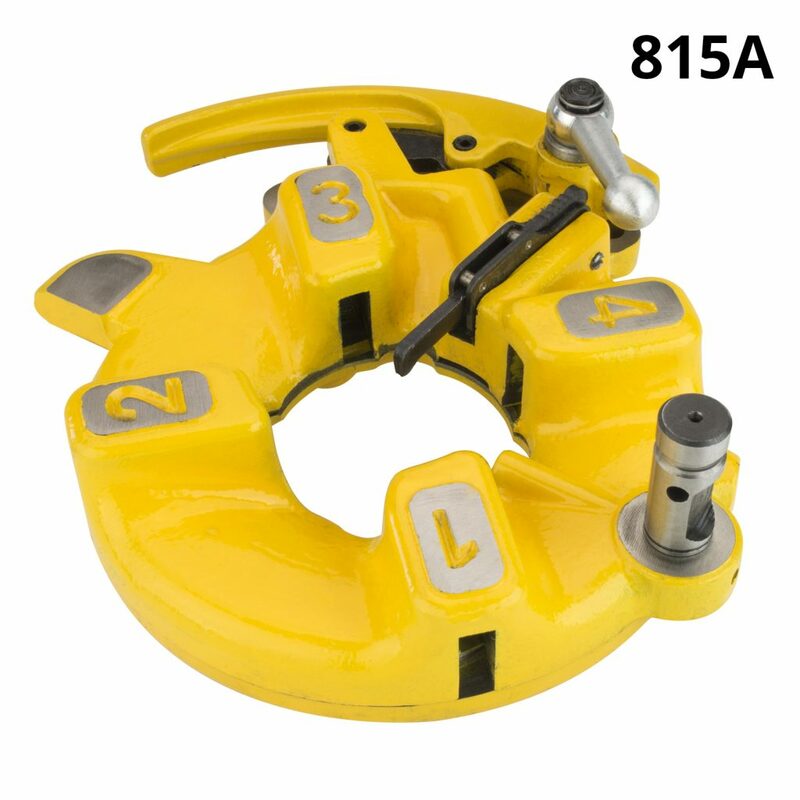 However, the 811 die head allows for a flexibility in threading that the 815 cannot accommodate. The 815 die head will always cut the same number of threads per pipe size before the pipe hits the trigger and stops the threading process. The 811 die head can thread further down the pipe should the need arise. The 811 die head will also be more reliable in the long run since there are no extra mechanical pieces to break or malfunction. Price-wise, the 815 will be slightly more expensive than the 811 but not by much. Steel Dragon Tools manufactures an 811A and 815A die head that will fit most industry standard pipe threading machines including Steel Dragon Tools and RIDGID® machines. Steel Dragon Tools 811A and 815A die heads are offered with an automatic oiling feature for use on pipe threading machines that have a pipe threading oil reservoir. For more information on Steel Dragon Tools call 734-224-7112 or e-mail customerservice@steeldragontools.com. Steel Dragon Tools products are available for purchase from Affordable Tool and Toolz Unlimited. Steel Dragon Tools products can also be purchased at major online retailers like Amazon, Sears, and Walmart. Steel Dragon Tools is always looking for used or broken pipe threading machines and pipe threading accessories. Click here for the purchase list and prices.